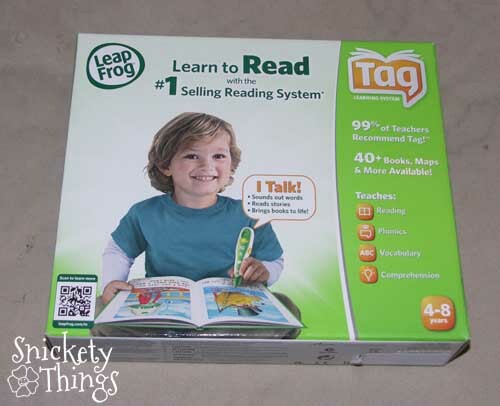 Yesterday I told you about a great package we received in the mail from LeapFrog. Inside was this great Tag pen that you use with LeapFrog Tag products to help children read and learn on their own. What I didn't share yesterday about the Tag pen is that it can be connected to your computer and it will let you know how your child progresses while using it. That makes it really handy to see where your child shows strengths and weaknesses. 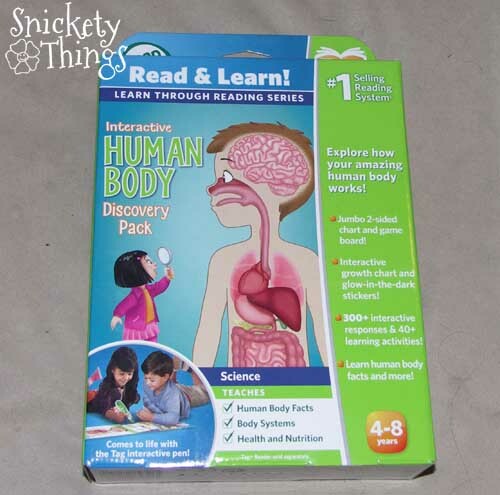 The item in our package that I didn't tell you about yesterday was the Tag Interactive Human Body Discovery Pack. Jeff and I were both excited about this pack since we have science backgrounds. Inside this box is a fold out board that shows the human body and all the different systems we have. There is a section on bones, a section on the respiratory and circulatory systems, a section on muscles and a section on the nervous system. It also talks about skin and internal organs. Both Boo and Princess got a kick out of trying to find the bone I broke in my leg a few weeks ago. Part of this pack is a little advanced for Boo at this time and she got frustrated when trying to play the games, but she was happy to use the Tag pen to just touch the different parts of the body and have it tell her what they were. Every time it would tell her a new thing she would then tell us. She also felt spots on her body to see if she could feel the bone (she was surprised that the hard spots on her ankle and elbow were bones) or her organs (she couldn't). 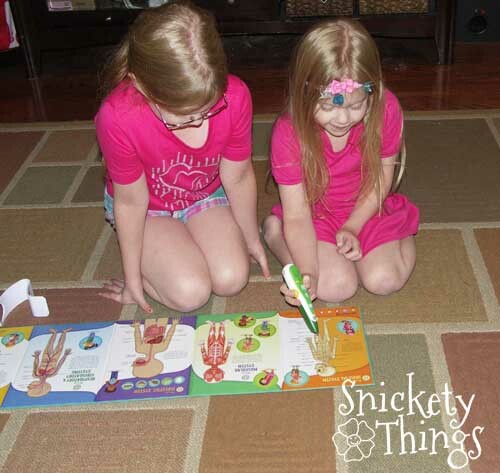 The Princess enjoyed learning each of the body parts, but she also really enjoyed the games that it could do. She was already getting pretty good at answering the questions correctly after a day of use. It also came with an interactive growth chart complete with spots to use the Tag pen and stickers to mark important milestones. There was also a glow-in-the-dark sticker skeleton to assemble on the growth chart (Boo is all about stickers). What I liked about this pack was while it taught the basic facts of the body, it also promoted healthy living and exercise. 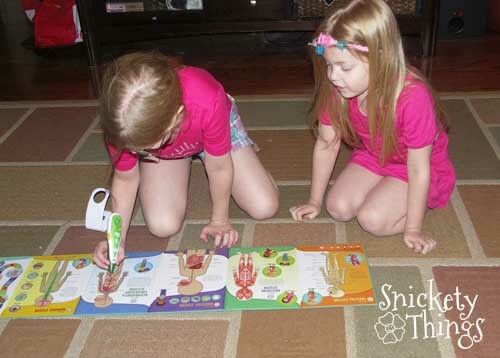 I see the Tag Interactive Human Body Discovery Pack being very helpful for both of them. I think they will have a head start on knowing the parts of the body and what they are used for.